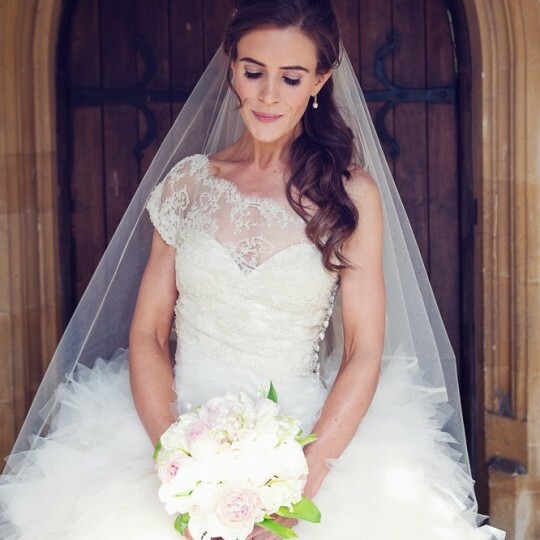 James and Emma's Cotswold wedding - Joanna Carter Wedding Flowers | Oxford, Oxfordshire, Berkshire, Buckinghamshire and London. 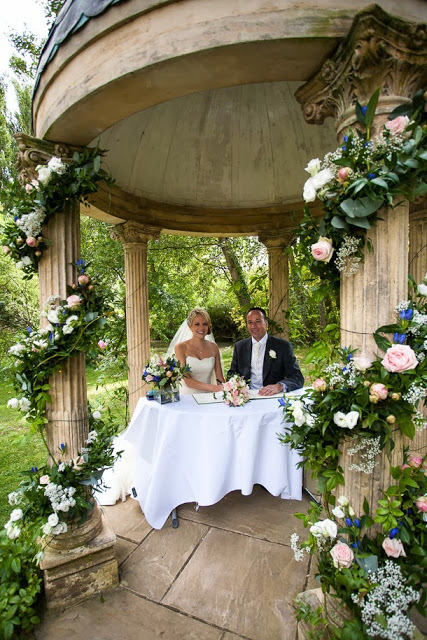 We wound two beautiful garlands of foliage and flowers around the front two pillars of the temple to make it the perfect backdrop for their ceremony. 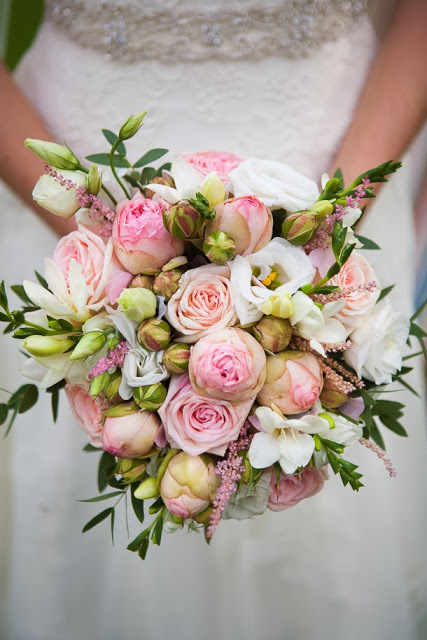 We added touches of soft pink, blue and ivory from sweet avalanche roses, gentians and lisianthus. 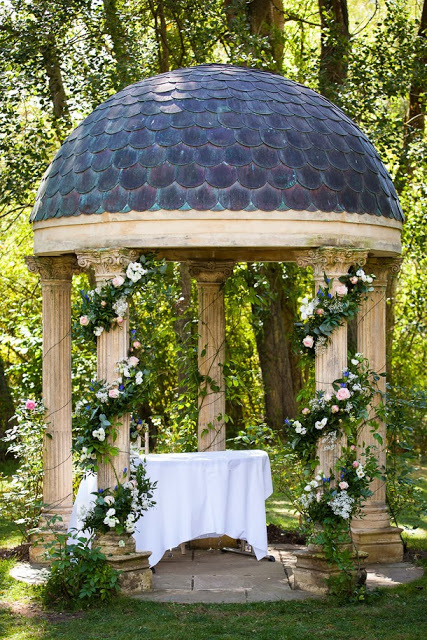 Along the length of the aisle we placed a single pale pink rose in the chair bow of each chair, which looked really pretty. 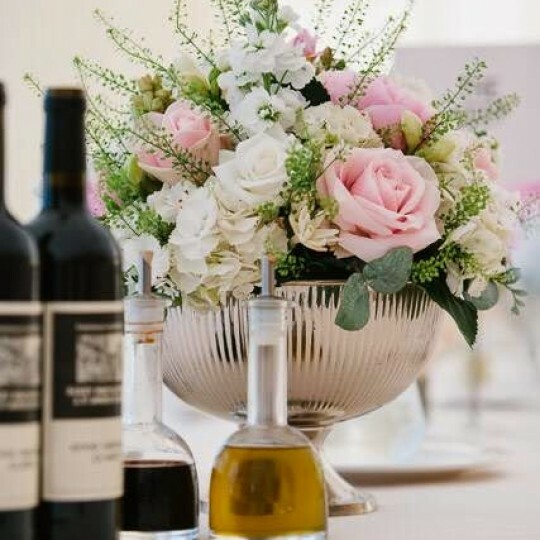 The Registrar’s table was decorated with a large cube vase filled with a hand tied bunch of soft pink, blue and ivory flowers. 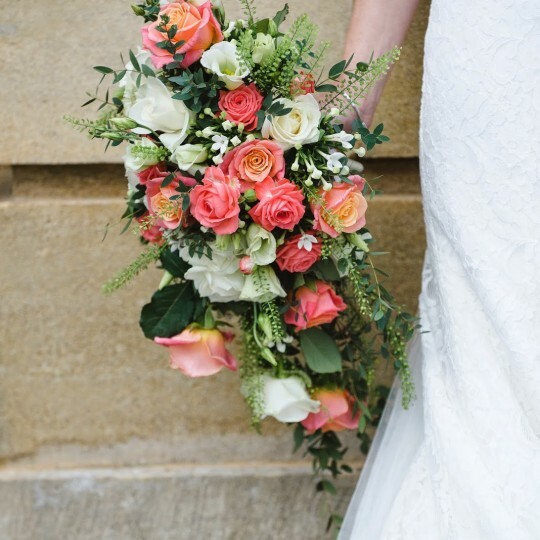 Emma chose to carry a bouquet of pale pink bridal piano roses with white lisianthus, pale pink sweet avalanche roses, white freesias and astilbe. The decorated temple made a perfect backdrop for photos! 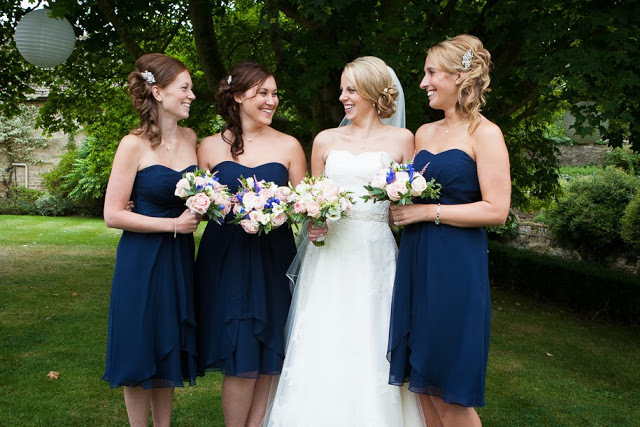 The bridesmaids wore navy dresses which was picked up in the blue gentians used in their bouquets. 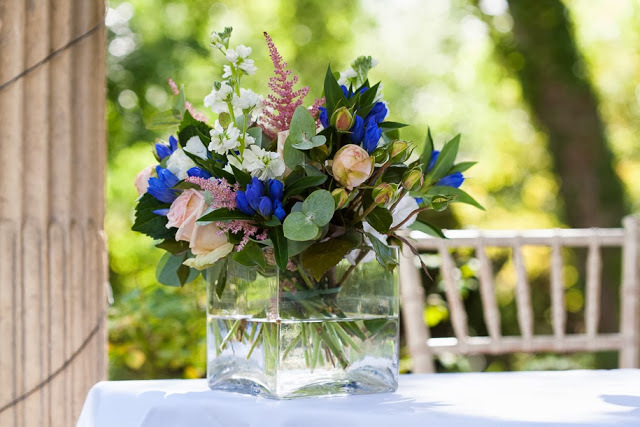 For the reception, which took place over the road in the Old Swan, we placed more cube vase arrangements at intervals down the long tables, filled with a hand tied mix of soft pink, blue and white flowers. 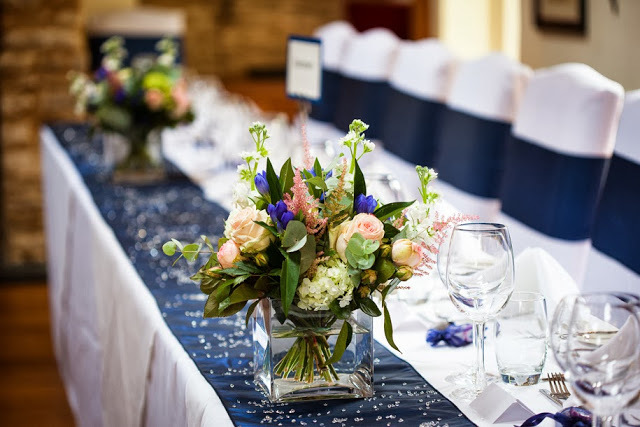 This looked really effective with the navy sheer table runner underneath.